The Orgueil meteorite is a carbonaceous chondrite containing about 3.1% carbon, 5.5% sulfur and 19.9% water. Virtually all of the carbon is present as organic carbon although only about 20% is soluble in common organic solvents; the remainder is in the form of a highly substituted, irregular and aromatic polymer. Detailed methods of analysis have been improved in the past ten years sufficient for the detection of individual compounds in most of the following classes of organic compounds: hydrocarbons, oxygen-, sulfur- and nitrogen-containing organic compounds, optically active species, isotopes, bacteria and organized elements. Ten series of homologous compounds have been observed in the aliphatic hydrocarbons. 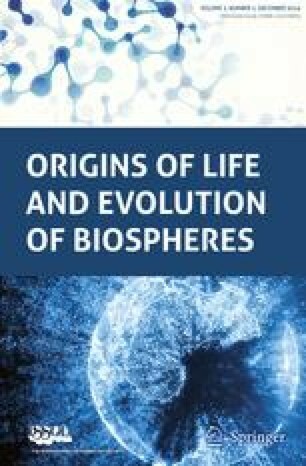 In the 1950's, when interest was renewed in the Orgueil meteorite, the analytical capabilities may have given a bias toward biogenic agencies for the formation of the organic matter found in the meteorites. Some of the key biochemical compounds for extraterrestrial life are present. There is doubt, however, that these particular compounds are truly indigenous. The possibility that the indigenous organic compounds in the meteorite are present as a result of abiogenic syntheses in the cosmos is becoming more generally accepted.